For the first time in our country a unique joint project of the Russian artist Raoef Mamedov is introduced by the Lilja Zakirova Gallery. 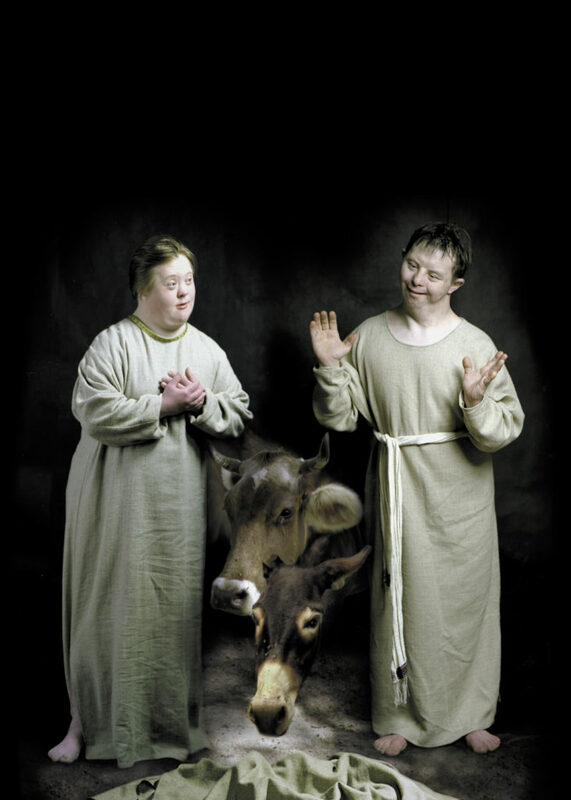 In a post-modern way this project combines cinematic theatre, photography, art history, theology and computer technology in twelve photographs of 80 by 60 cm (7 signed copies), depicting seven biblical scenes from the New Testament which are “enacted” by people with Down’s syndrome. 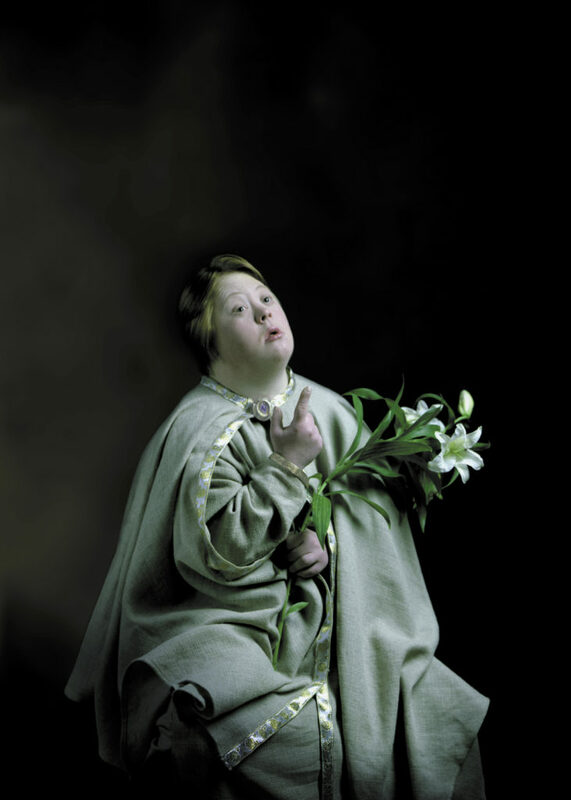 The restrainedly dramatic scenes are depicted with a sublime photographing technique; their chiaroscuro reminds us of paintings by Caravaggio and Georges de la Tour. Four of the seven scenes have been staged as precisely as possible after famous paintings from the history of art. The largest work is a quintuple piece after the Last Supper by Leonardo da Vinci, followed by the diptych with Jan van Eyck’s Annunciation as in his Ghent altarpiece, the Betrayal by Judas by the Italian early renaissance artist Giotto and a Ecce Homo by the 19th-century Russian painter Nicolaï Ge. The three other photographs are scenes in the same atmosphere as the above, but iconographically they stem from the brain of Rauf Mamedov, director and instigator of the project. 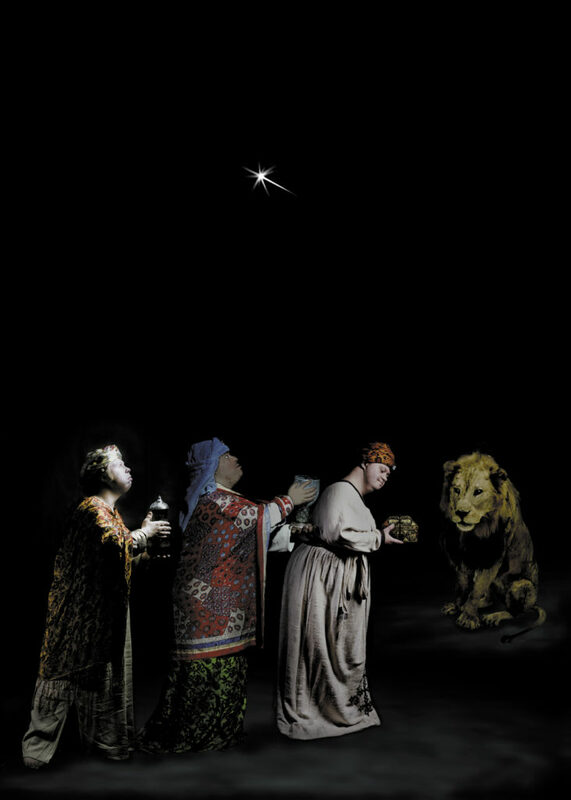 He staged an Epiphany, a Birth scene and the Vigil in the Garden of Gethsemane. The project was realized in very close collaboration of the aforementioned artist/director Mamedov, the artist Jevgeni Semenov, the photographer Dmitri Preobragensky and the computer operator Dmitri Krainov. For a year they worked together quite intensely; each figure was photographed separately, the director trying to evoke the right emotions in his actors by acting as a fellow actor during the photo sessions. Afterwards the photos were arranged into their proper composition by means of a computer. 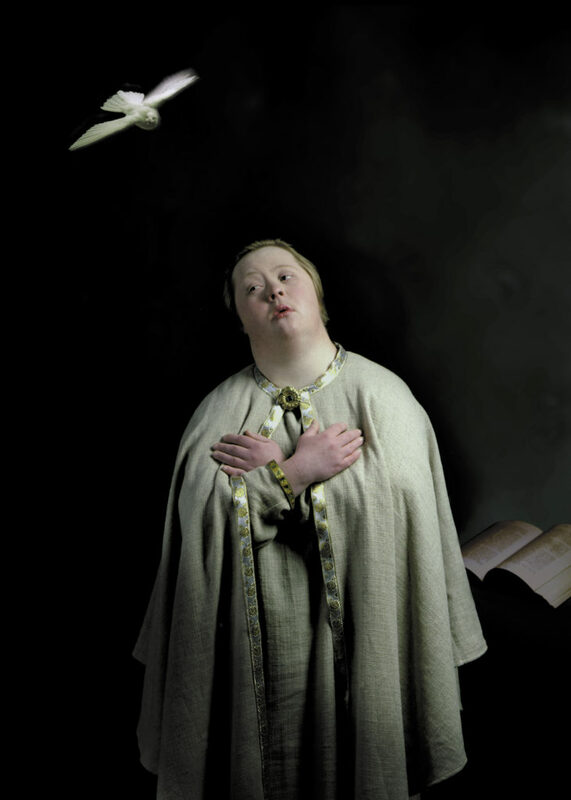 With this exceptional work the artist/director in fact transcends any specific cultural identity. 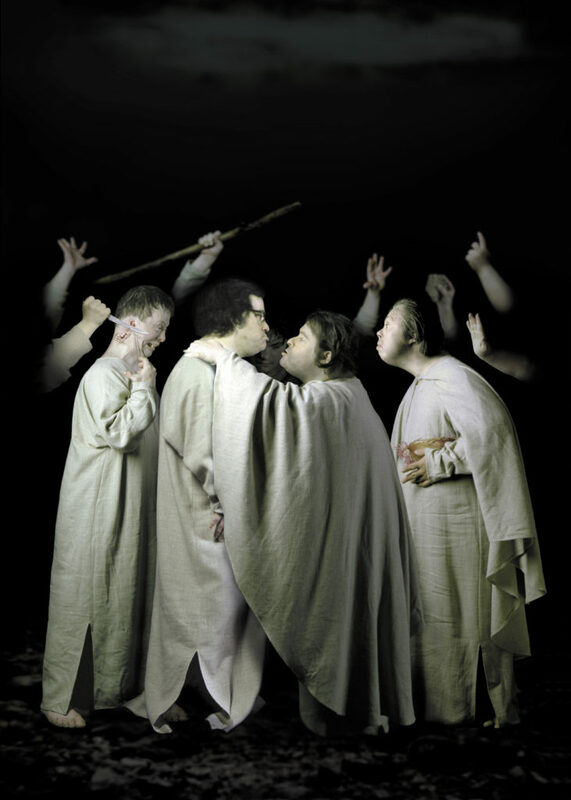 He achieves this universality by using world-famous scenes in connection with figures carrying the general Down’s syndrome physiognomy. Authenticity serves as his guiding principle. At the same time the photos carry the post-modern character of our culture. Quoting from the history of art and primarily using it as his sole source, he achieves that what he adds to the works becomes the reflection on art history from and with the means of our late twentieth century period. That is what gives his work its contemporary and universal significance.